In Fond Du Lac Bumper Exchange v. Jui Li Enterprise et al., plaintiffs allege that defendants—manufacturers of aftermarket automotive sheet metal parts—violated the Sherman Act by conspiring to fix, raise, maintain, and stabilize prices of these automotive parts. Three of the five original defendants have reached class-wide settlements with the plaintiffs, and the court approved these agreements last year. Aftermarket automotive sheet metal parts are replacement parts for cars that are not manufactured by the original manufacturers and distributed through auto manufacturers’ service channels, but rather are manufactured by other companies and sold without the auto manufacturers’ certification. The aftermarket parts at issue in this case include sheet metal hoods, doors, and fenders. 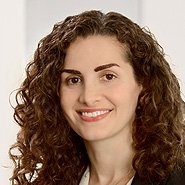 Judge Adelman found that plaintiffs satisfied the class certification requirements of commonality and predominance for all three elements of a Sherman Act claim. That is, the answers to common questions would resolve the issues of whether (1) defendants had a contract, combination, or conspiracy; (2) the market was impacted by the conspiracy; and (3) plaintiffs were injured. Judge Adelman found convincing the pricing structure analysis presented by plaintiffs’ expert because it showed that prices “tend[ed] to move together over time,” even though the analysis did not control for factors other than conspiratorial conduct that might have affected prices. Furthermore, it did not matter that, as defendants’ expert pointed out, prices of different products moved in opposite directions at times. Even if the price of a given auto part fell, Judge Adelman concluded, plaintiffs’ pricing structure demonstrated that the price would have been even lower in the absence of anti-competitive conduct. Plaintiffs’ expert also conducted a regression analysis that the court found realistic. The regressions generated a “but-for” price that class members would have paid in the absence of anti-competitive conduct. Additionally, with regard to other Rule 23 requirements, Judge Adelman rejected defendants’ argument that the typicality and adequacy requirements were not satisfied because of disparities in bargaining power among class members. But the court found that “there is no sub-set of class members who had no bargaining power,” and highlighted that defendants “offer[ed] no reason to believe that some difference in bargaining power” would raise adequacy issues. The court concluded that differences in bargaining power alone do not render class representatives atypical or inadequate. And what are the lessons learned for defendants challenging motions for class certification? First, that courts appear to be less willing to make class certification decisions that implicate the merits. Second, that defendants’ experts must directly take on plaintiffs’ regression analyses generating a “but for” price that class members would have paid in the absence of anti-competitive conduct. As the Second Circuit’s decision in In re Payment Card Interchange Fee and Merchant Discount Antitrust Litigation yesterday demonstrates, courts continue to be willing to overturn class action settlements on the grounds that certain subclasses were not adequately represented; inadequacy may prove a reliable ground for defendants challenging class certification motions before the district court.